Being a happy and satisfied SEO professional team, we would like to thank the whole world for the supports given in 2013. Lot of thanks to the entire world who made the year 2013 a successful and memorable one. 2014 is the third year for SEO Zooms. Lot of thanks to Google, Yahoo, Bing, MSN for listing your sharpened efforts in search results. We would like thank all search engines in this occasion, because with out those we can no sustain or remain in the challenging professional career of search engine optimization. Special thanks for Matt Cutts and other search quality team of Google for useful updations made in Google algorithms during 2013. Most of those algorithm updations were very helpful for white hat SEO company like us. So with out thanking Google search quality team, this post will not be a complete. Heart full thanks to our clients who supported us by buying SEO services from us. Expecting all help and supports in 2014 also. We would like to share the happy moments and SEO Happiness we achieved in 2013. Manual web spam actions by Google are punishments given to websites for conducting unapproved strategies with search engine optimization activities. There are many chances for a website to get punishment from Google. Google will definitely find a website or send a manual action message, if Google found a website is building its back links using pay link schemes. Google will punish a website if it is building low quality links. In Google’s point of view any manual link building can be seen as link spamming. If find a website doing article submission in already punished websites for selling links, they will definitely punish the submitting site. Content spamming is usage of low quality contents, copied contents and less user friendly content. Currently Google has included the panda updation filters permanently with their algorithm. So Google panda filter will work like a shield to protect the search results to avoid website pages with low quality and copied duplicate contents. Even the links achieved by comments can get some useful contributing factors of search engine listing, it can be punishable if a website use and follow comment spamming activities using automation and continuous manual comment submissions. Google will surely punish those websites following automated software and automatic link generating systems. Latest and recent Google Pagerank updates held on December 6th 2013 shows that they have strictly evaluated the trust units achieved by websites using manual link building activities and other spam indexing methods. 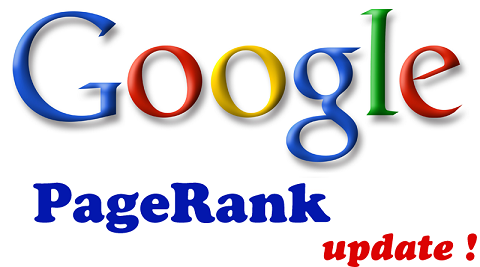 The long waited google pagerank update award day is came in effect . Yes the Google has announced the page rank today 6th December 2013.Google declared thereafter: “PageRank” is something that we haven’t updated for over a year now, and we’re probably not going to be updating it again gong forward, at least the Toolbar version.“ The Google page rank is a ranking awarded by Google to websites and its pages. There will be less debate possibilities connected with latest Google page rank updation. Because in overall, the latest Google page rank awarded are a big flop to millions of websites and its pages than improvements and achievements received by very lesser websites and pages. Many of the search engine marketing professional are very less bothered about Google page rank as it has not all any influence in search engine ranking. There was a time most of the SEO professionals are curiously watching and implementing many activities including internal link structuring, link optimization activities and external back link building. It was very important for websites to get good page rank for getting better search engine ranking. But currently the search engine algorithm give more importance to relationship and social signals, social mentions achieved by a website or its pages. Google page rank was a trustful mark given by Google for websites and pages. Due to many regular updations and installation of strict filters like panda for avoiding low quality web pages and content, millions of website pages loose page rank trust in latest updates. Google’s last page rank updation was during February 2013. It was a big success for giant websites with content rich and highly visible websites. Many SEO website like moz, emonde etc got improvement in their Google page rank. But Websites like seozooms, bizlark, seoseoservices does not improved the page rank.